Cerritos, CA (December 27, 2016) – DW®® (DW®), the industry leader in digital recorders, surveillance cameras and related management software, announces the release of the latest update for DW Spectrum™ IPVMS. The new v2.6 software adds a powerful new Rapid Review export feature, performance improvements and support for additional IP cameras. 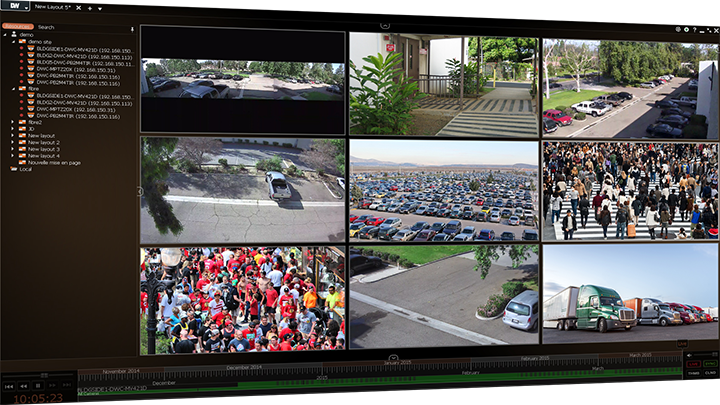 DW Spectrum™ IPVMS is an elegantly easy cutting-edge approach to HD surveillance, addressing the primary obstacles and limitations of managing enterprise-level HD video while offering the lowest total cost of deployment and ownership of any solution on the market. The software offers advanced search features to help you quickly find incidents or instantly review an exact date and time. The software is cross-platform, installs quickly and provides instant network mapping and discovery to start viewing your entire security system in minutes. DW Spectrum™ IPVMS is a perfect solution for any application that requires ease, speed, efficiency, and unprecedented image quality. New Device Support for DW®, FLIR, Pelco, Sony, ACTi and Arecont Vision cameras. Visit our website for the full release notes, to download the latest DW Spectrum™ software at no cost and to learn more about our software, servers and cameras: www.digital-watchdog.com. If you are already running DW Spectrum™ IPVMS version 2.3 or higher, please use the auto update feature in the software itself. For auto updates, enter version 13109 in the remote update page and use the following password: lwhcre.